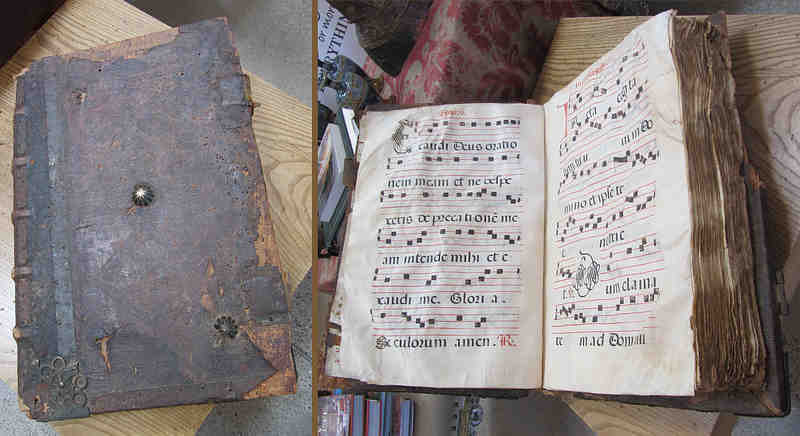 Book of Gregorian chants for Easter time. Leather bound wood cover with velum pages. List price: Price upon request.